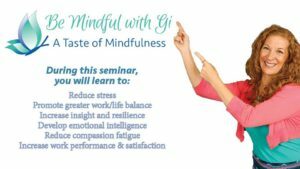 A Taste of Mindfulness offers an experiential introduction to the core elements of mindfulness meditation practice. Communicate with empathy and clarity and reduce compassion fatigue. This event is FREE. Please RSVP on Facebook.